SONIC Drive-In will open a location in Pacific Beach at 2740 Garnet Avenue near Mission Bay Drive as early as this November, marking the eighth location of the popular franchise in San Diego County. SONIC, America's Drive-In came into being in 1959 and is the nation's largest drive-in restaurant chain - serving more than 3 million customers every day. 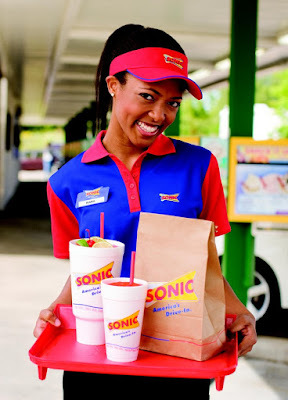 Nearly 90 percent of SONIC's 3,500 drive-in locations are owned and operated by local business men and women. Like the other San Diego Sonic locations, the PB Sonic will be operated by Pacific Drive-Ins, led by Max Gelwix and Kasey Suryan, who has a multi-location franchise license with exclusivity in San Diego County and nearly 20 locations in California. Construction on the location will begin soon, along with an adjacent A-1 storage. We've reached out to Sonic Corporate and Pacific Drive-Ins for more information and will update this post when we learn more. "As a franchise-centric brand with more than 60 years of heritage, SONIC is a smart choice for motivated entrepreneurs interested in building a business with an established, respected brand," said John Budd, chief development and strategy officer for SONIC. "These new and existing partners in California represent some of the best in the business, with a great deal of restaurant and multi-unit experience. As we continue to seek qualified partners for the SONIC brand and in the state, these franchisees will exemplify the kind of success that comes from bringing SONIC Drive-In to previously underserved markets."